Smashbox For Twenty Five Years Our Lips Have Been Sealed Palette for Holiday 2015 | Top Beauty Blog in the Philippines covering Makeup Reviews, Swatches, Skincare and More! 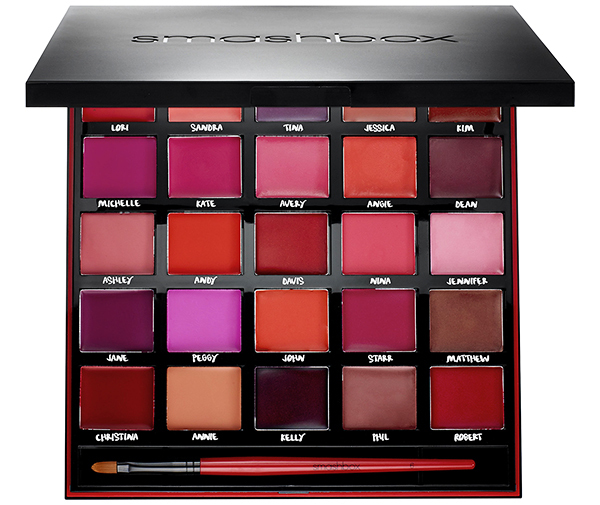 Celebrating 25 years, Smashbox designed this sleek, collectible palette of 25 lipsticks in their most coveted creamy and matte shades. With shades inspired by icons, these lipsticks let lips make a statement with bold color. Featuring a Pro Lip Brush and a Smashbox Studios Magazine Insert, it's a unique palette for creating signature lip looks. Wow! These shades are all lovely! There is literally every single color you would ever need here!